Yesterday we were at day 1 of the Telegraph Ski and Snowboard Festival in Battersea Park and as always there was a buzz of excitement as the countdown to winter continues. The place was packed with tourist boards from mountainous regions across the globe showing off their ski destinations, pop up shops selling everything imaginable ski related, park rats showing off their tricks on Mount Battersea and our GB athletes from the Olympics being interviewed about their experiences. There was music, food, drink and countless ski enthusiasts! We also met Ski TV which will be coming as a channel on Sky this winter and as well as highlights packages of all the world cup events, they are looking for content from the amateur racing scene. Who knows, our local races the Parsenn Derby and Red Bull Home Run might feature! Surely an added incentive for our guests to take part. It was also a great opportunity to catch up with friends. 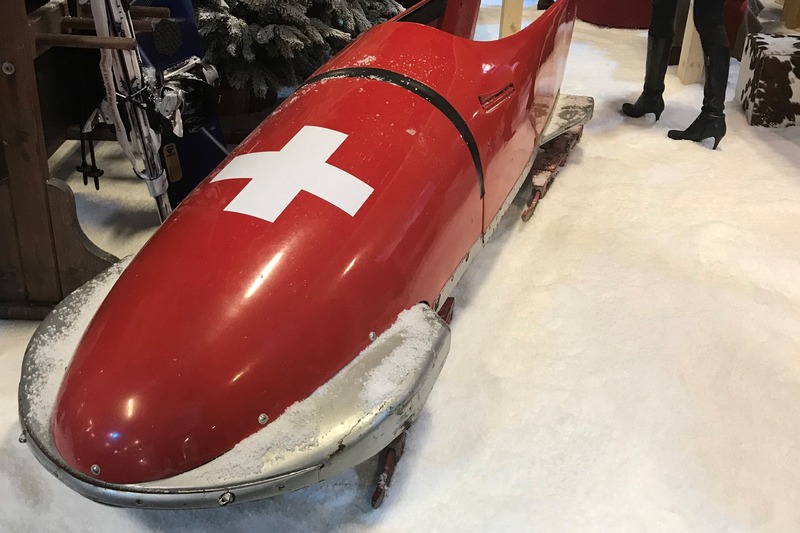 Switzerland were well represented and we saw the team from Destination Davos Klosters. They were telling us the exciting developments on the freeride scene where they are opening up a fabulous tour which takes skiers to Arosa and then Lenzerheide. It will be an itinerary route (ie marked and controlled, but not patrolled) and you can buy a ticket which lets you use the lifts in Arosa and Lenzerheide for this purpose. We also heard from Fatmap who are developing their resort mapping even further to include interactive 3D imagery to enhance the user experience. If we understood correctly, itineraries like this, and other off piste classics will be able to be viewed alongside freeride skiers sharing their experiences of these runs. It could be really cool. We were also invited to a presentation by Faction Skis. For those not familiar with the brand, they operate mostly in the freeride, park and touring space and we understand will be in Gotschna sport this winter, so our guests will be able to try them out. The most iconic user of the skis is Candide Thovex of "One of those days" fame... if you have never seen him on Youtube then click here to see the third of his mini masterpieces. The final highlight of the ski show was a notification from snow-forecast.com telling us that 20cm of snow is forecast for Klosters tomorrow. Yes, we have signed up to the website and it sends an email every time it is about to snow in Klosters. I am looking forward to getting many such emails this winter!